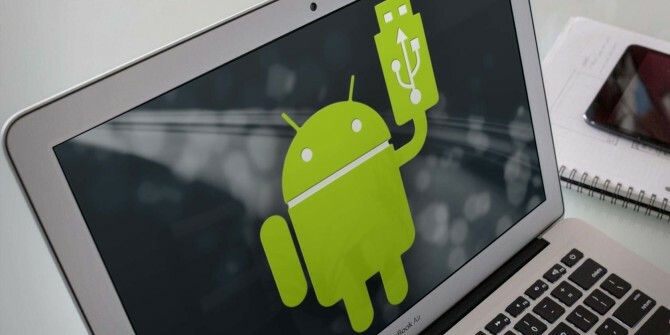 HoRNDIS (pronounce: “horrendous”) is a driver for Mac OS X that allows you to use your Android phone's native USB tethering mode to get Internet access. It is known to work with Mac OS X versions 10.6.8 (Snow Leopard) through 10.12 (Yosemite – see notes below), and has been tested on a wide variety of phones. Although you should be careful with all drivers that you install on your computer, HoRNDIS has been tested at least well enough for the author (and many others) to run full time on their own personal computers. Download the latest binary package, and double-click on it in your Downloads folder. Follow the instructions in the installer. Assuming that the installation proceeds without errors, after it completes, connect your phone to your Mac by USB. Enter the settings menu on your phone. In the connections section, below Wi-Fi and Bluetooth, select “More...”. Select “Tethering & portable hotspot”. Check the “USB tethering” box. It should flash once, and then become solidly checked. On some versions of OS X, a dialog box may pop up, prompting you to configure the device; follow its instructions. To verify that the device is connected, start the System Preferences program, and select “Network”; you should see your phone appear in the box at left. With any luck, you should be able to turn off Wi-Fi on your Mac, and browse the Internet through your phone's network connection. The latest version available is release 8: HoRNDIS-rel8.pkg (78985 bytes) (md5sum 8991552bd384a06b7ec775f7198f7bba; GPG signature). Adds support for OS X 10.11 (El Capitan) and 10.12 (Sierra). Thanks also to David Ryskalczyk for his help in wrestling Xcode. Release 7: HoRNDIS-rel7.pkg (116491 bytes) (md5sum 45a1a7457966b1dc79897af2864f68e4; GPG signature). Adds support for OS X 10.10 (Yosemite). Fixes issue where unsigned kext would not be installed (restoring support for OS X 10.6 - 10.8). Thanks also to David Ryskalczyk for his help in tracking down the issues with 10.10. Release 6: HoRNDIS-rel6.pkg (116473 bytes) (md5sum fe3e5ae4c0a509b06cf11ef65b1715da; GPG signature). Adds support for multicast mode, enabling mDNS (thanks to Dan Yocom at Intel). Adds code signing support in Installer and for kext. Release 5: HoRNDIS-rel5.pkg (60906 bytes) (md5sum 059164db5a76e5c0b57b9ef9acb65da5; GPG signature). Adds support for Mac OS X's Internet Connection Sharing, enabling BeagleBoard users to connect their boards to the Internet through their Macs. Release 4: HoRNDIS-rel4.pkg (60519 bytes) (md5sum 8cf81024d8514d2a8654420fc7491b84; GPG signature). Actually fixes issue #5 and #9, adding support for Samsung Galaxy S II and HTC Desire S (thanks to Griskha). Improves compatibility with older versions of OS X (early 10.6). Release 3: HoRNDIS-rel3.pkg (60488 bytes) (md5sum a46960e3cdb2a046e08af00c766b6ff9; GPG signature). Fixes issue #3 (reenabling installation on 32-bit machines). Adds potential fix for issue #5. Release 2: HoRNDIS-rel2.pkg (60843 bytes) (md5sum 8b2c371e78ccfe3b07750fbe07f55bb5; GPG signature). Disables installation on 32-bit machines, and includes new device support. Release 1: HoRNDIS-rel1.pkg (38681 bytes) (md5sum 4169c222448e2a2caaa067caf84189d3; GPG signature). Fixes issue #2. Release 0: HoRNDIS-rel0.pkg (36807 bytes) (md5sum be4e879198d3b6e52af993b008198e8e; GPG signature). Initial release. In previous versions, HoRNDIS required a 64-bit kernel. If you get an error message about 64-bit support on installing HoRNDIS, please try again with the version 3 package (or newer). OS X 10.9 (Mavericks) and 10.10 (Yosemite) are supported by HoRNDIS, but there are some gotchas. If you upgraded from an earlier version of OS X, you may find that phones appear to be replicating with abandon in your network control panel. If this happens to you, one somewhat heavy-handed workaround is to clean your network configuration files – take a backup of /Library/Preferences/SystemConfiguration/NetworkInterfaces.plist and /Library/Preferences/SystemConfiguration/preferences.plist, and then either move them out of the way or delete them. (Note that this will remove any custom network configuration that you have performed!) I am still not sure what causes this problem, and so I do not yet have a workaround with finer granularity. Versions of Mac OS X 10.11 and newer have a rewritten USB stack that is substantially less compatible than that in 10.10 and below. Unfortunately, Apple have not published any documentation for the new-style USB interfaces exposed in 10.11, so HoRNDIS can only use the USB APIs available in 10.10 and below, which have been broken in newer versions of OS X. As such, newer versions of OS X may have difficulty connecting to certain devices. If, for some reason, you need to uninstall HoRNDIS, you can simply drag the extension to the trash. In the Finder, go to the “Go” menu, and select “Go to folder...”; in that, type ”/System/Library/Extensions”. Find “HoRNDIS.kext”, and drag it to the trash. When prompted, type your password. Do the same for the “HoRNDIS.kext” that lives in ”/Library/Extensions”, as well. Then, restart your Mac to be sure it is unloaded. Simply running xcodebuild in the checkout directory should be sufficient to build the kext. If you wish to package it up, you can run make to assemble the package in the build/ directory (though please don't publish versions you built as if they were official!). And, after a tenure of three years, I am looking for a new maintainer for HoRNDIS. I no longer have the time to keep HoRNDIS up to date the way it deserves. If you believe that you have the skills to take on maintainership of this software, please let me know, or post in this GitHub issue. Being free software, HoRNDIS comes with no warranty (not even a guarantee that it won't break your phone or computer! But I'm pretty sure it won't. ), express or implied. (For more on that, read the license.) However, I hope that it works for you; if it doesn't, and you're able to assist in debugging, I'd like to hear from you. So, for feedback, feel free to get in touch with me; especially if it works for you, or makes your life easier, I'd like to hear about it!